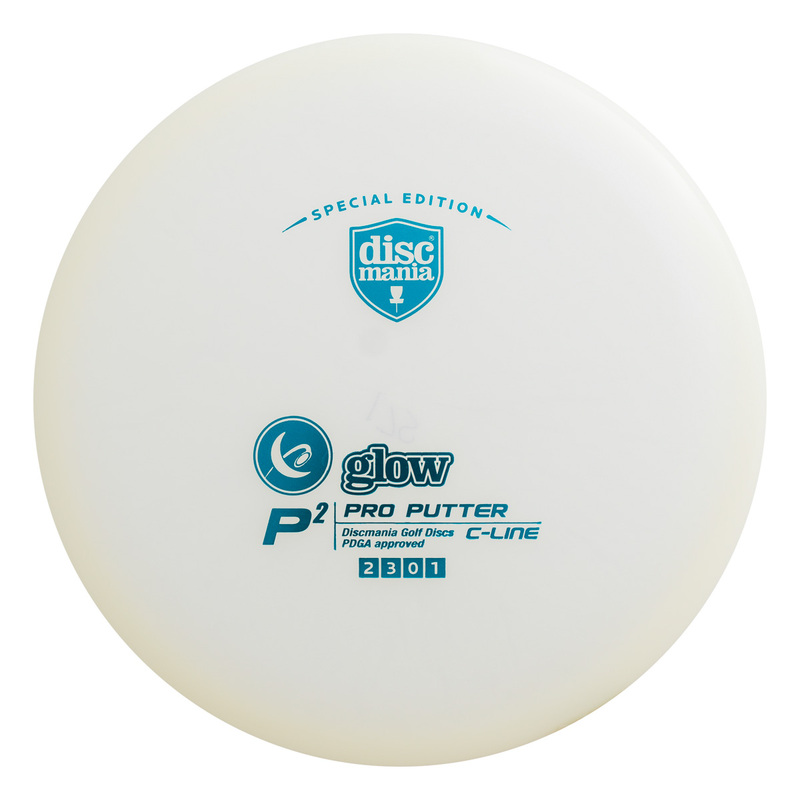 A limited number of P2's available with the durable Glow C-line material. These putters glow in the dark! The P2 is more overstable than members of the P1 family, and is very stable in high speeds, making it ideal for driving, even through winds. One benefit of the P2 is also that is has been produced in each of the plastic types Discmania discs have ever been produced in, so you can be sure to find your favorite. These discs represent the very first specialty run ever produced of the P2 in Glow C-line material. They've been produced in fall 2018 (Late 2018 Run). Stability-wise, these Glow C-P2's fall between S-line and C-line P2's: They stay on a straight line longer than the regular C-line P2's (Sky Gods for example), but once the fade kicks in, it's harder than what you'd expect from an S-line P2. P2 in its different variations has been our bestselling putter for several years in running. That's no wonder, as this disc is a favourite for all skill levels. Find out why the P2 is one of our most popular molds by trying it out yourself!